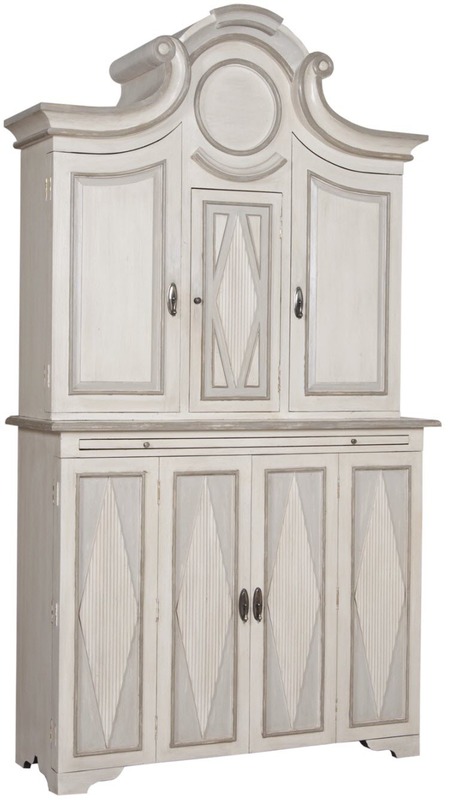 SOMERSET WINE CABINET - Manor White Wash finish on carved two-piece cabinet. Decorative pendant pull hardware. Dimensions: h 90" X w 50" X dEPTH 18"